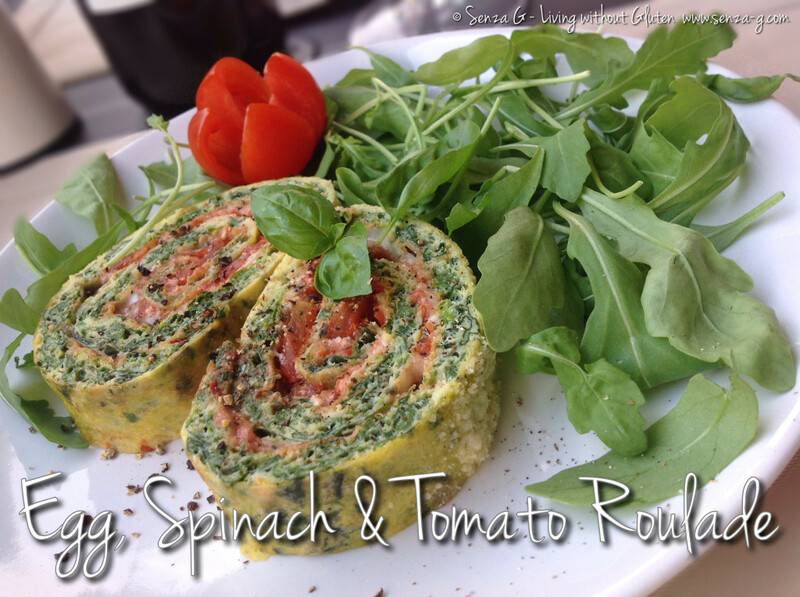 A great accompaniment to a simple salad during summer is this easy to prepare Roulade. Lovely warm but equally nice served chilled. 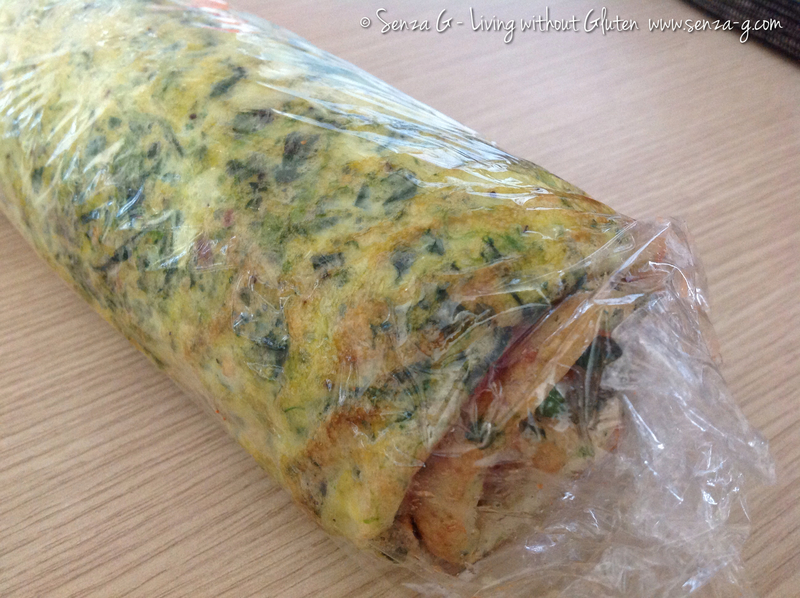 Line a swiss roll tin with wet and scrunched out baking paper. Smooth out all the wrinkles with your hand. Beat the egg yolks until pale and thickened and then add the spring onions, the chives, the spinach and about a quarter cup of Parmesan Cheese. Season. Whisk the egg white until soft peaks form and then fold these gently into the yolk mixture. 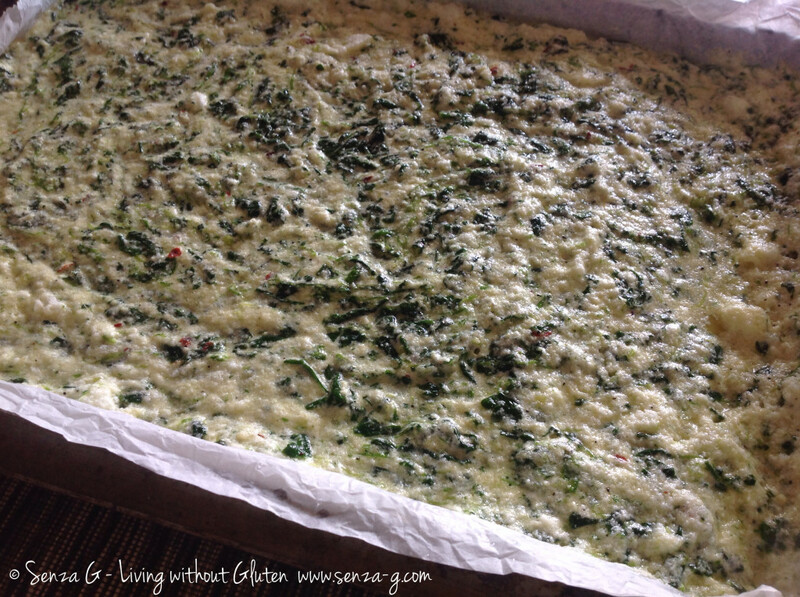 Spread this mix evenly in the baking tin, smoothing the surface. Bake for about 20 minutes until the omelette is cooked. Remove from the oven. Now turn the roulade over a damp tea towel and gently remove the baking paper. Turn it over again so the lighter side is at the bottom. 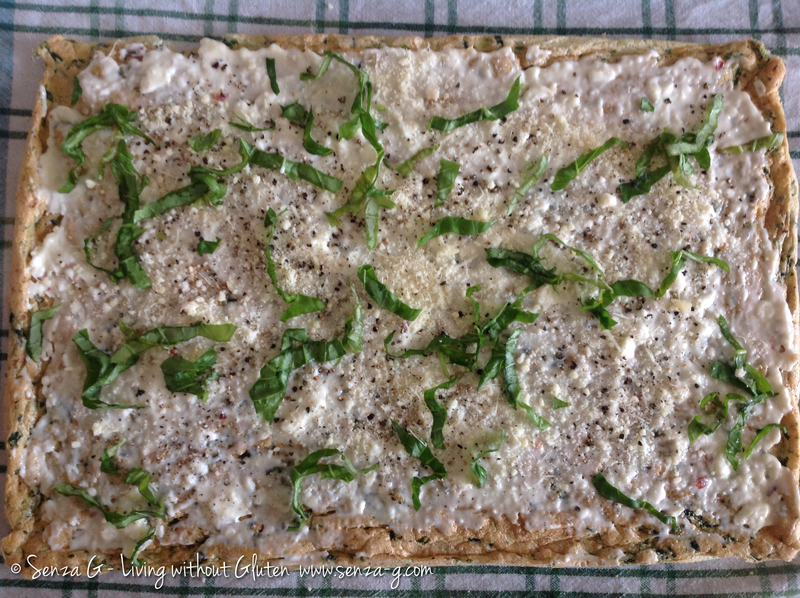 Spread the top first with the stracchino cheese, sprinkle with fresh shredded basil and then with the tomato pulp. Leave around 2 inches on top without any sauce as I found that the sauce will move as you roll. Using the tea towel, pull up the roulade and start rolling it. Place the roll in cling film and refrigerate for half an hour at least. Take out of the fridge, remove the cling film and sprinkle the top of the roulade with about 2 tablespoons of Parmesan Cheese. Bake in a preheated oven (150C) for about 15 minutes or until the cheese melts. Leave to cool slightly and then slice it into thick slices. Serve with salad.